IGOR is currently the leading company in the production of Gorgonzola PDO, a typical cheese of the Novara area, that is considered among the Italian gastronomic traditions of excellence. Thanks to its state-of-the-art technologies and to a constant update of its production process, IGOR has now become one of the most modern and efficient producers of Gorgonzola cheese. IGOR was founded in 1935 in Mezzomerico, a small village in the hills of the Novara area. 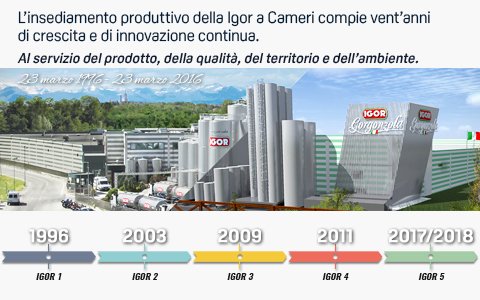 In 1996, the company’s headquarters moved to their current location in Cameri, which comprises a modern facility equipped with cutting-edge technologies for the production, aging, and packaging of Gorgonzola. In recent years, four plant expansions have taken place to improve the efficiency of the various production departments. 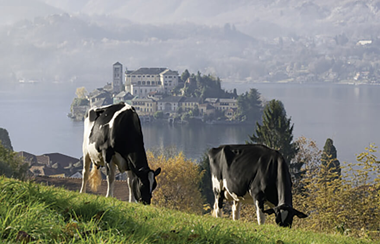 In addition, IGOR has acquired three historic dairy factories: Ballarini, Pal, and Clin. IGOR’s fifth factory expansion has been an ongoing process since May 2015. It represents an important investment that will bring the total area dedicated to the production of Gorgonzola to 50,000 square meters. The volume of IGOR’s business has grown steadily over the years, always in compliance with the highest hygiene and eco-friendly standards. 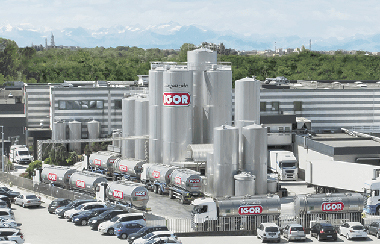 IGOR is committed to providing its customers with cheese of the highest quality, authenticity, and safety thanks to the implementation of strict internal procedures such as a systematic and daily monitoring of both milk and raw materials. Passion, planning, commitment, tradition, and innovation: these are the keys to IGOR’s success. For three generations, the Leonardi family has brought the finest Gorgonzola PDO from its farms to kitchen tables all over the world. A perfect combination of traditional cheese making and cutting-edge technology. Handed down from father to son, IGOR’s recipe has remained unchanged for over 80 years thanks to an accurate selection of milk and careful monitoring of the various steps of production, while safeguarding the environment and following the traditional cheese making process. Just a few simple ingredients to create a cheese that is inimitable in quality and taste, a cheese known in Italy and all over the world. From left: Fabio, CEO; father Gianvittorio, President; mother Ivana, Supervisor; Lara, CFO; and Maurizio, COO. 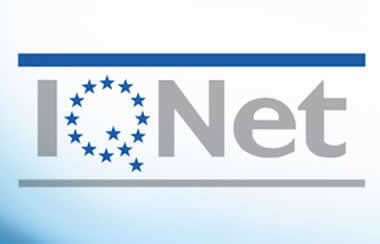 IGOR, in fact, is part of the National Industry 4.0 Plan, addressed to companies that want to take the opportunities linked to the fourth industrial revolution, through a set of measures for digitization, efficiency, automation and remoting of all functions related to process. 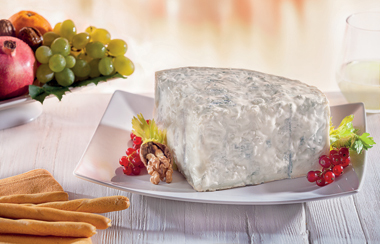 As the first producer of Gorgonzola cheese, IGOR has experienced continuous growth over the years, tripling its surface and production capacity in a short time. 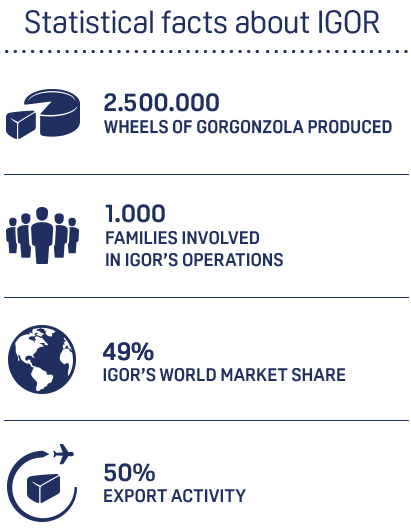 This growth, together with the new phase of globalization and technological changes in progress, has led IGOR to make a real leap in technological quality, with an investment of 22 million in the digitization of new production lines, strictly 4.0, indispensable to manage the millions of wheels of product made in a continuous cycle. This investment goes to implement and strengthen the previous structural expansion for cheese maturity that in 2015/2016 had involved a cost of 18 million. Thanks to the new technology, the machines will also be able to dialogue with the manufacturers even remotely, will be equipped with new generation sensors, that can also recognize the type of milk arriving from the 250 farms (from Piedmont and Lombardy), analyzing the characteristics of the product and then use it in the most correct way depending on the use and destination. The machines, connected through Siemens systems, will also be able to quickly re-adjust to modify the recipes to start up in production, improving productivity, flexibility and precision to obtain a premium quality. Rendering of the latest IGOR’s Cameri factory expansion (May, 2015).